Managing diabetes is a lifelong process. 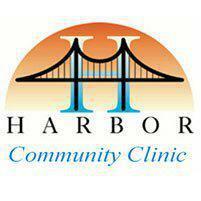 At Harbor Conmmunity Clinic, our skilled, compassionate staff helps patients in San Pedro, CA, and the surrounding Los Angeles and South Bay areas manage both Type I and Type II diabetes with regular, ongoing exams and screening tests for other related medical conditions. Type I diabetes typically occurs in children, but it can also occur in adults. In type I diabetes, the pancreas doesn't produce enough insulin or it doesn't produce any at all. Type II diabetes occurs most frequently in adults as a result of obesity, but it can occur in children as well. In this type of diabetes, the pancreas produces insulin, but it isn't processed normally by the body. Gestational diabetes develops during pregnancy and can cause complications for both the mother and the baby. Women who develop gestational diabetes are considered to have high-risk pregnancies, and must see the doctor more frequently while they're pregnant. The exact cause of diabetes isn't known. What symptoms are associated with diabetes? Diabetes is diagnosed with a blood test to determine your blood sugar, or glucose, levels. People who have diabetes have glucose levels above 126 mg/dl. What treatments are available for diabetes? Diabetes requires careful and vigilant management to avoid serious complications like kidney failure and blindness. You'll need to check your blood sugar levels frequently and you may need to inject insulin on a regular basis, especially if you have Type I diabetes. You'll also need to watch your diet and avoid certain foods and see your doctor regularly to ensure your treatment is regulated and adjusted to your changing health needs. Please call the office if you have any questions regarding our insurance policies. "I raise my glass to the volunteer doctors, nurses, therapists, psychologists, pharmacists and admin staff of the LA Harbor Free Clinic." "The people that work here are very nice and the doctor was super kind. Thanks to the front desk for getting me in quickly." "These folks treated me with compassion and respect. I'm actually looking forward to my next appointment here." "Dr. Villarreal is warm and kind. He's very smart and knowledgeable. Very easy going yet aggressive in his practice." "What a caring and compassionate doctor. I only waited 5 minutes to see him and he spent a really long time with me to get to the bottom of problems."